I picked this book up during a recent trip to Cooperstown in early April (2005), thinking I could read it on the flight back to New Orleans . After browsing the first few pages I was hooked and read the entire work that night. The combination of baseball history and obscure biography drew me into this work immediately. Having just spent the afternoon strolling through the galleries of Cooperstown , I felt a sense of discovery as I read about these little-known players. 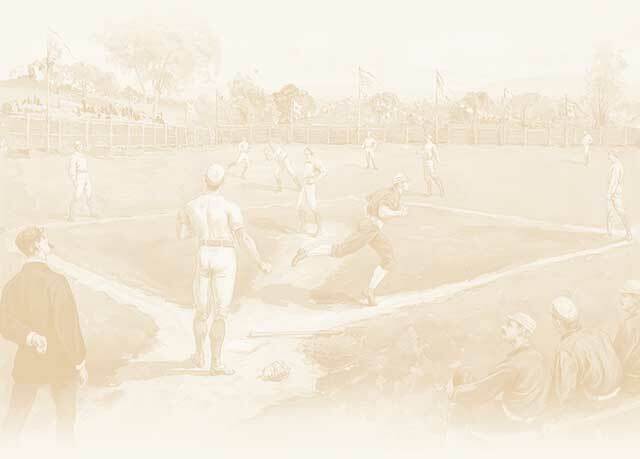 Of the 256 players, managers, and executives in the Hall of Fame, the well-known players such as Ty Cobb, Babe Ruth, Willie Mays, Mickey Mantle, and so on only comprise a small number of the players represented. But all other members of the Hall of Fame were celebrated in their day, or else by baseball historians in the days since. Yet most fans, myself included, know very little about these men. This book contains biographical and statistical information on sixteen previously overlooked Hall of Famers, including Morgan G. Bulkeley, Candy Cummings, Roger Bresnahan, Jack Chesbro, Jesse Burkett, Kid Nichols, Bobby Wallace, John Clarkson, Elmer Flick, Eppa Rixey, Jake Beckley, Roger Connor, Vic Willis, Willie Wells, Frank Selee, and Bid McPhee. These men, selections of the often criticized Veterans Committee, all enjoyed remarkable careers and were themselves remarkable stories, as the author discovered. I recommend this book to both baseball and history buffs alike.